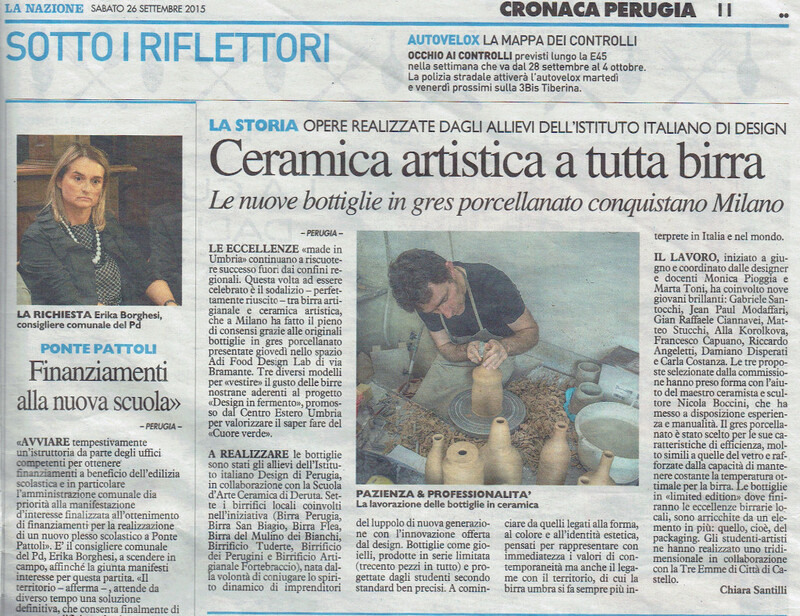 Press conference and presentation of the bottles made of gres by “Ceramic Art school Romano Ranieri Deruta and Italian Institute of Design in Perugia (IID). 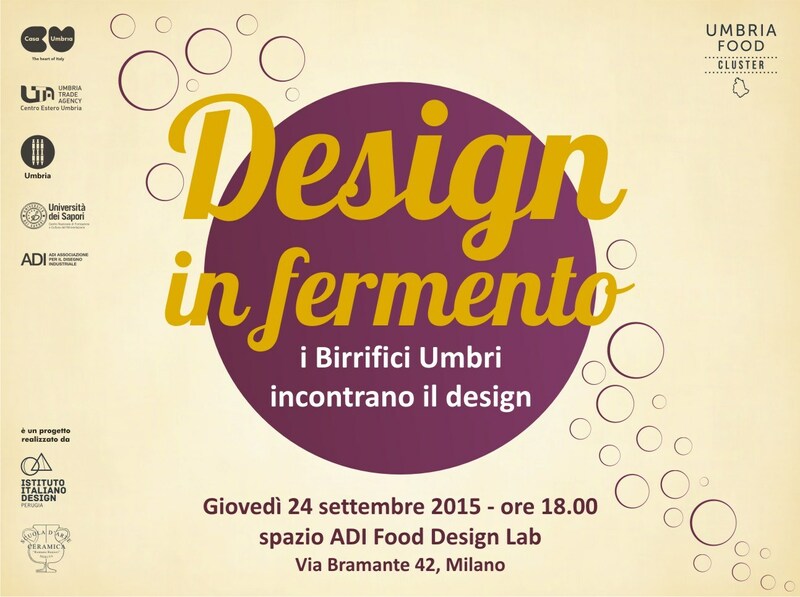 Seven umbrian breweries will present their special craft beers. 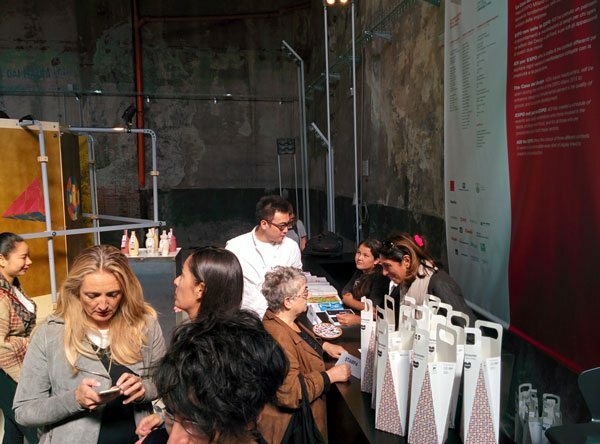 Food design aims to give shape to the interfaces and services in the way that is most appropriate to the circustances in wich the product is consumed. 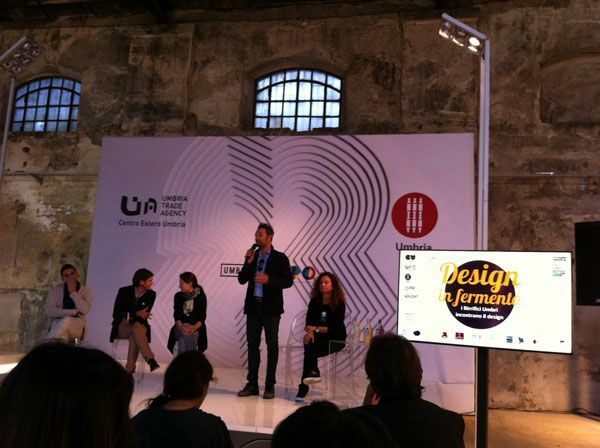 “DESIGN IN FERMENTO” by Istituto Italiano Design di Perugia in collaboration with Scuola d’Arte Ceramica Romano Ranieri di Deruta. 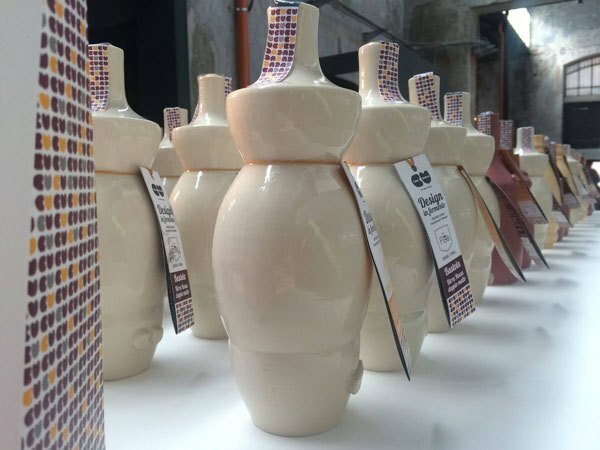 A project that sees three ceramic bottles in “limited edition” to be the protagonists, filled up with the best product of seven Umbrian breweries (Birrifici dei Perugini, Birrificio Artigianale Fortebraccio – Futura Group, Birra Perugia, Birrificio Tuderte, Birrificio Mulino dei Bianchi, Azienda Agricola Monastero di San Biagio, Birra Flea) supported by the innovative packaging by Tre Emme Grafica e Cartotecnica. 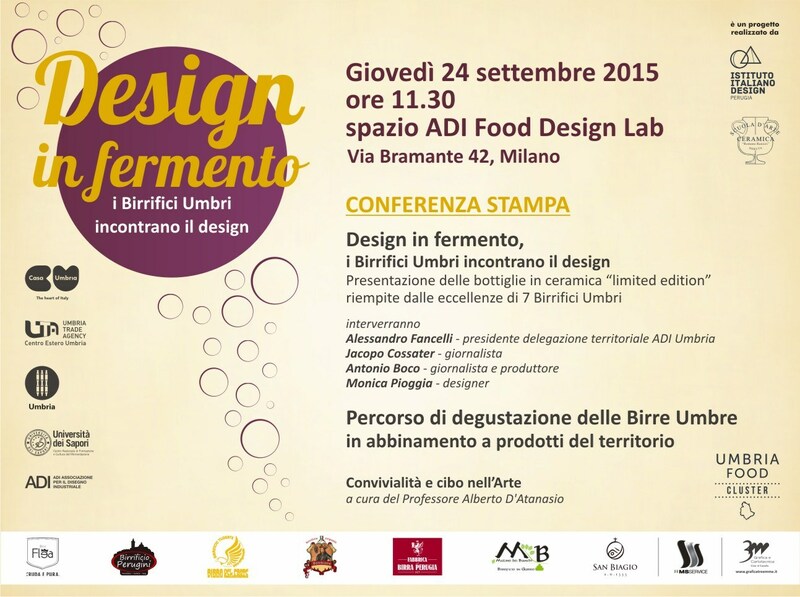 Design in Fermento was born from the will of combining the enterprising spirit of the new generation of breweries from the Italian region Umbria, a generation guided by young entrepreneurs that, lately, are giving back and revisiting the beer inside the territory, together with an innovative and contemporary help offered by the design world. 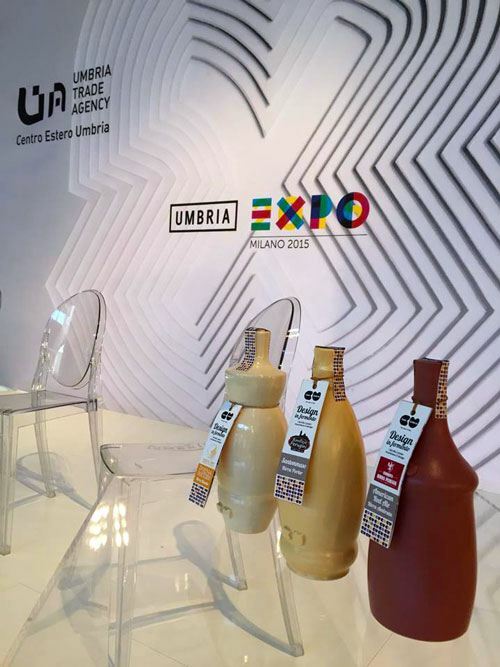 From this objective the idea of designing a bottle was born, a bottle which through shape, colour and aesthetic identity represents with immediacy the value of the contemporary and the bond with the territory, of which the beer is today the interpreter in the Umbria region system. 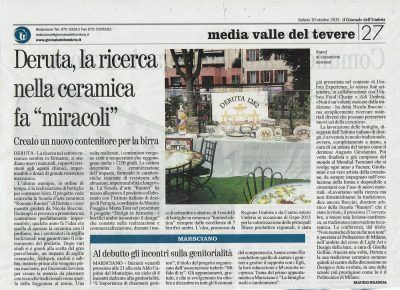 The project coordinated by the two designers and professors Monica Pioggia e Marta Toni started during the first weeks of June, and saw the participation of the following students: Gabriele Santocchi, Jean Paul Modaffari, Gianraffaele Ciannavei, Matteo Stucchi, Alla Korolkova, Francesco Capuano, Riccardo Angeletti, Damiano Disperati e Carla Costanza. Three projects were selected and then produced thanks to the important contribution of Scuola d’Arte Ceramica di Deruta and especially to Nicola Boccini – sculptor and ceramist master -. 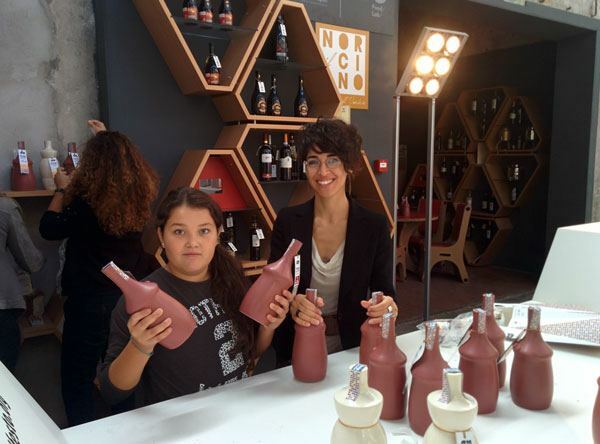 The bottles were all realised in gres porcellanato, an innovative and performing declination of the ceramic material, a fundamental element of the traditional Umbrian craftsmenship. 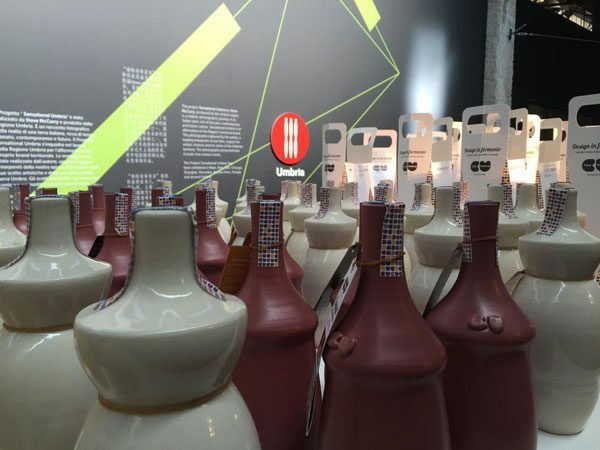 The gres was chosen for its characteristics of efficiency, which are very close to the glass ones, and enhanced by the ability of maintaining the optimal temperature of the beer constant. 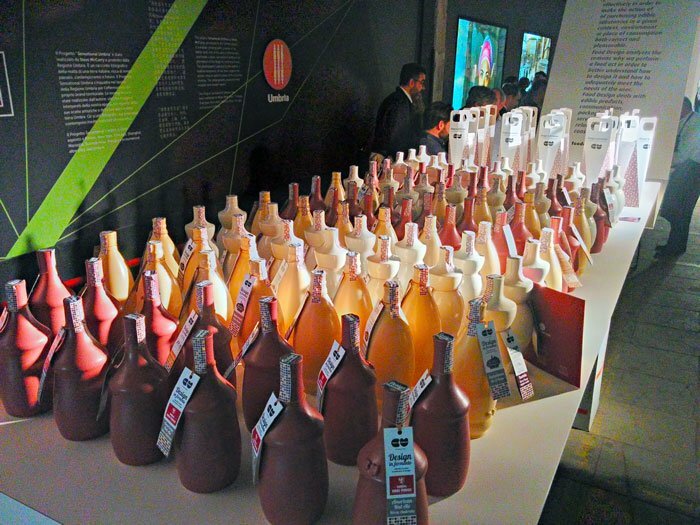 The three bottles for tasting beer have been produced in a limited edition of 300 pieces. 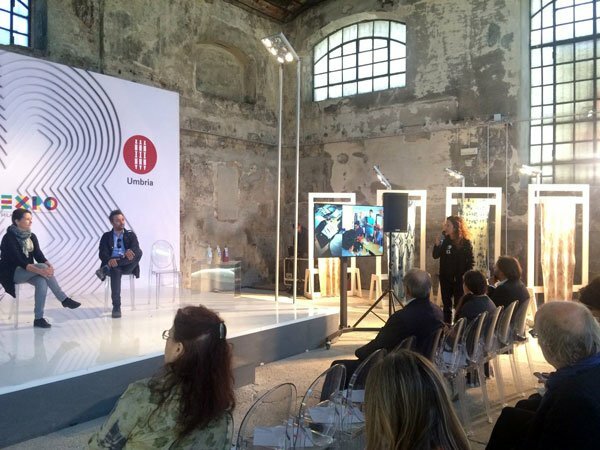 Design in Fermento was included into projects of high innovative coefficient by Centro Estero Umbria, projects which through the Casa Umbria format testify the value and the Umbrian excellences in the world. 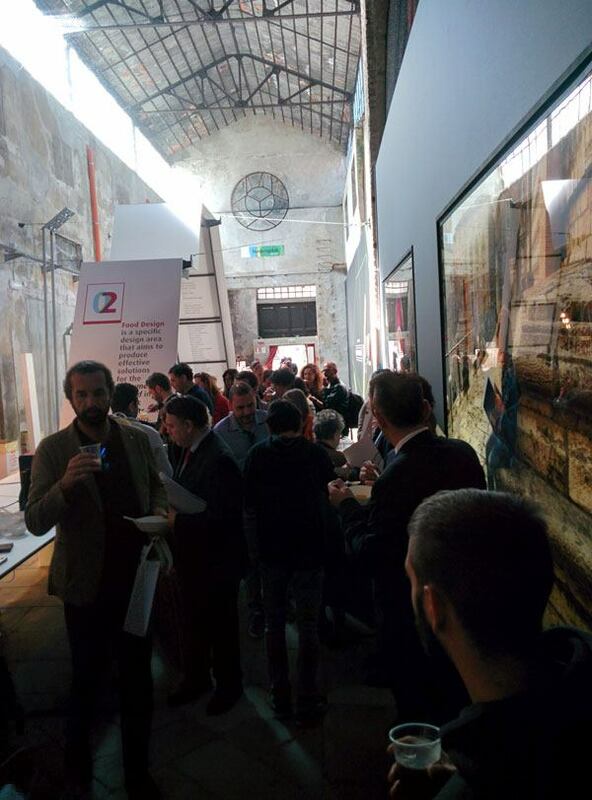 The project is also part of UMBRIA FOOD CLUSTER, a network of professionals and ADI UMBRIA – Associazione Disegno Industriale Umbria – education centres which are active in the design world, re-thinking and promoting the territory starting from its food farming excellencies, and then innovating the experience and the diffusion, in advantage of those who live, know and visit Umbria. 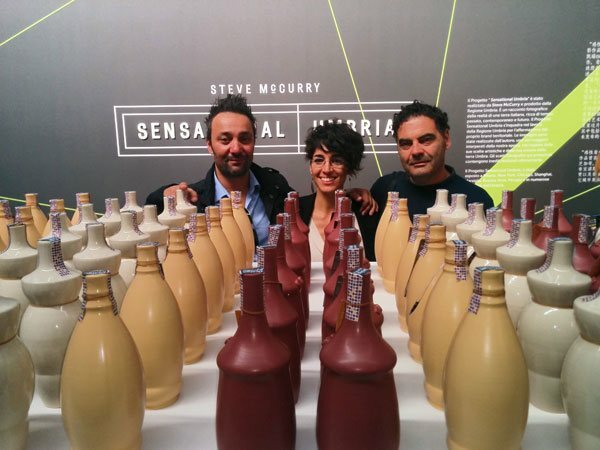 This entry was tagged beer and art, ceramic, ceramic and beer, ceramic bottles, design in fermento, expo 2015, nicola boccini artist, the king of ceramic. Bookmark the permalink.